Listen to a special broadcast celebrating the 50th anniversary of Austria’s musikprotokoll im steirischen herbst festival. Pôm Bouvier b. aka Sis_Mic brought her own “sonic table” to Graz as well as a huge feedback speaker. Another important aspect of her performance is the concert venue, the space. “I like the idea that we – the audience and I – become part of the instrument,” she said in the radio interview. Sis_Mic is the new project by Pom Bouvier B., an eclectic artist: a video maker, scenographer, dancer and performer, especially influenced by her musical background. 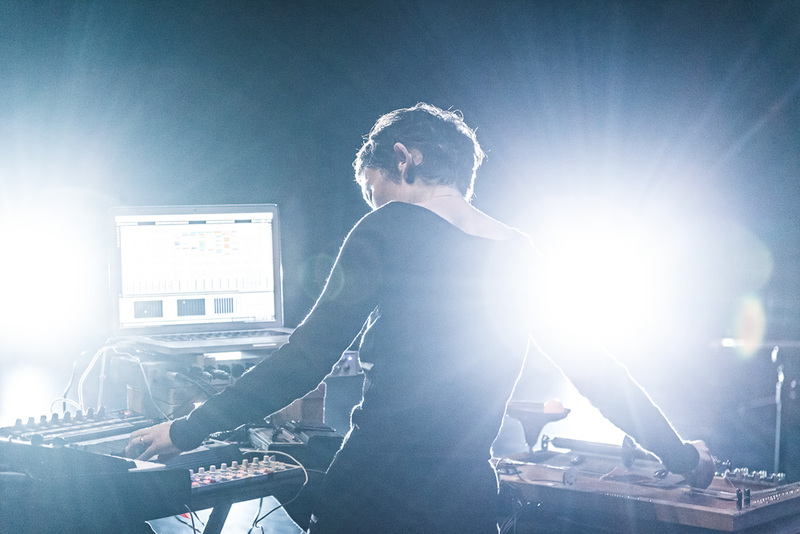 She has studied electroacoustic music for several years and her pieces have been played in several countries all over the world. Pôm Bouvier B.’s work includes various musical forms, as music for dance, installations, radiophonic creations and concerts. Alone or in collaboration, she works on projects that seek different kinds of public perception and listening. You can listen to the ORF broadcast here (until 15/10/2017).